Looking for genuine Mazda parts and accessories in Calgary? We can help you at Sunridge Mazda. Our team of experts have the entire genuine Mazda parts and accessories catalogue at your disposal and will help you find the exact item you’re looking for. Genuine Mazda parts and accessories are specially designed to fit perfectly on your vehicle. That means they’ll preserve the quality, reliability, and safety of your vehicle while also improving its design, versatility, and overall performance. 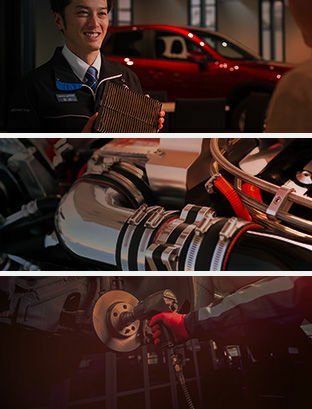 At Sunridge Mazda, we will listen to your needs whatever they may be and we will have the part or accessory you’re looking for. Our genuine Mazda parts and accessories department is at your complete disposal today.